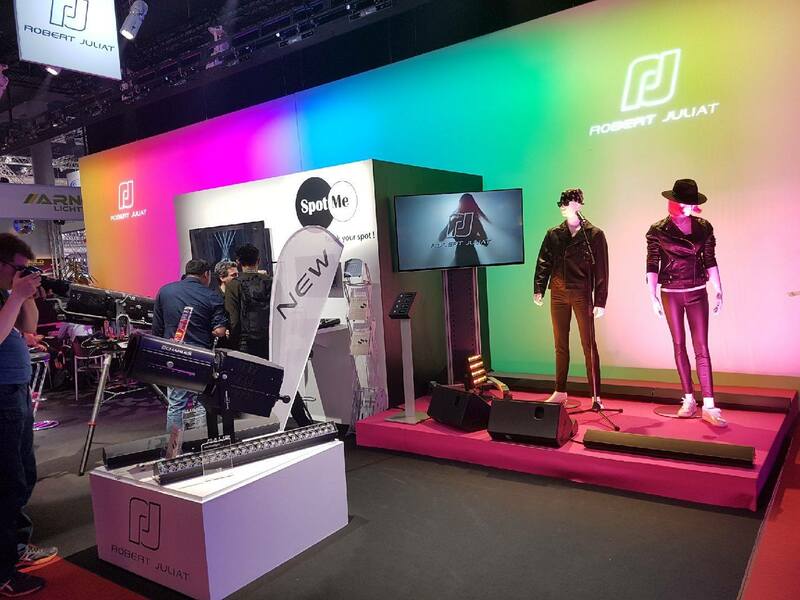 Robert Juliat had one of its busiest shows in recent years at Prolight+Sound in Frankfurt last week. The central area of Hall 3.0 was constantly busy throughout the four days. 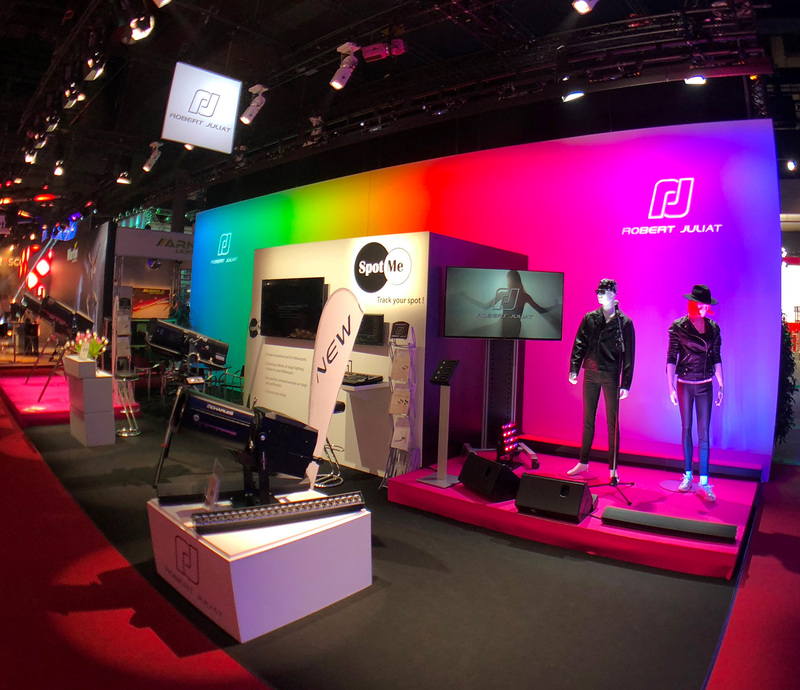 “It’s impossible to say which product made the most impact as customers were keen to try out the new followspots, the SpotMe system and the new additions to the Dalis range, as well as our new LED profile spot,” says Robert Juliat Sales Director, Claus Spreyer. Alice and Oz, the exclusive 600W LED short and long-throw followspots, were first in the line up, exhibiting restyled bodywork and all the wealth of RJ features one would expect from Robert Juliat. The combination of a highly efficient LED source and Robert Juliat’s classic optical train ensures Alice and Oz pack a punch equal to that of conventional 1200W discharge models, at a fraction of the power consumption. Silent operation and smooth electronic dimming hold particular appeal for studio and film work, as well as being ideal qualities when working in close proximity to theatre audiences. “Alice and Oz were designed with small to medium-sized venues and budgets in mind and the hugely positive response we have received shows we have got the formula right!” comments Claus Spreyer. Sharing its technology, output and quality of light with Oz and Alice is Robert Juliat’s newly presented range of LED profiles, the Charles 960SX series. This range of 600W LED profiles is available in 3 variable zoom ranges (29°/50°, 15°/40° and 8°/16°) and exhibits a high optical efficiency with a 6000K colour temperature and a CRI in excess of 90. Smooth electronic dimming and an in-built, flicker-free power supply gives silent operation and packs a high output reaching 80% of the renowned 2.5 kW HID D’Artagnan capabilities. 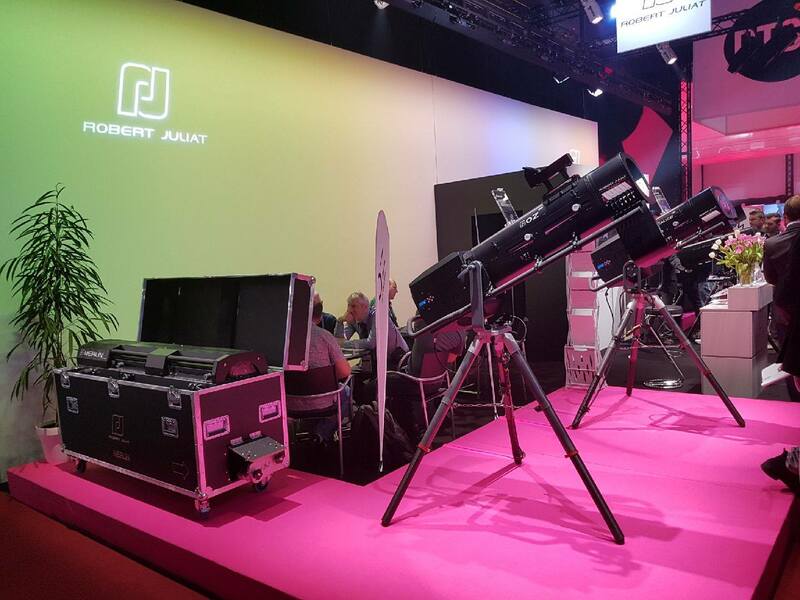 Also demonstrated on the booth was Robert Juliat’s SpotMe, its bespoke, 3D tracking system for followspots. 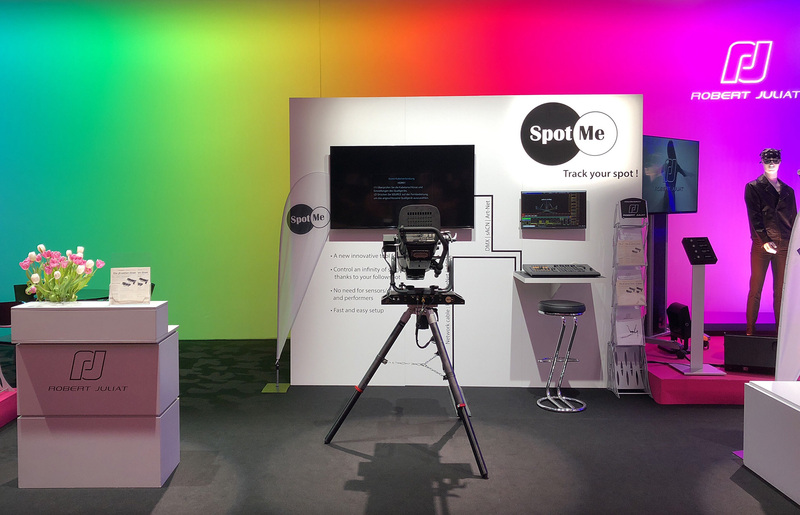 SpotMe is the only performer tracking system to be driven via a real followspot and can coordinate an infinity of different stage lighting fixtures to follow performers on stage without the need for on-stage/performer sensors or cameras. “SpotMe is a genuine and unique solution which combines high-technology and human control over the lighting design and operation at the same time. With SpotMe, the technology serves designers and operators with a special care for the artistic aspects. This aesthetic approach drives people’s interest in SpotMe,” observes Robert Juliat Product Manager Ludwig Lepage. This innovative system uses advanced algorithms and calibration to interpret information sent from its onboard sensors to communicate with any PosiStageNet console, and then coordinates the identical movements of other fixtures in the rig, even conventional fixtures with no feed back capability. SpotMe can also be used to set limits to avoid light spill into scenic or public areas, while iris movements can be converted into any other function, such as automatic zoom. Quick and simple to set up and operate, SpotMe has universal application that can be used anywhere in the world. Two new members of the Dalis range were launched at the show, both featuring a 4-colour mixing system (red, green, royal blue and warm white 2200K). The Dalis Access 863 is a 150W LED cyclight designed to give those with smaller budgets the first access to Dalis technology. Sharing all the technology as the original Dalis 860 Cyclorama fixture, Dalis Access 863 has just four colours and 24 of the patented Dalis asymmetrical micro-reflectors, but otherwise all the functionality and quality of the original, at a fraction of the price. The Dalis 864 Footlight is a new, 150W colour variation of the original Dalis 862 tuneable white footlight, designed for the creation of colourful upstage or downstage lighting. 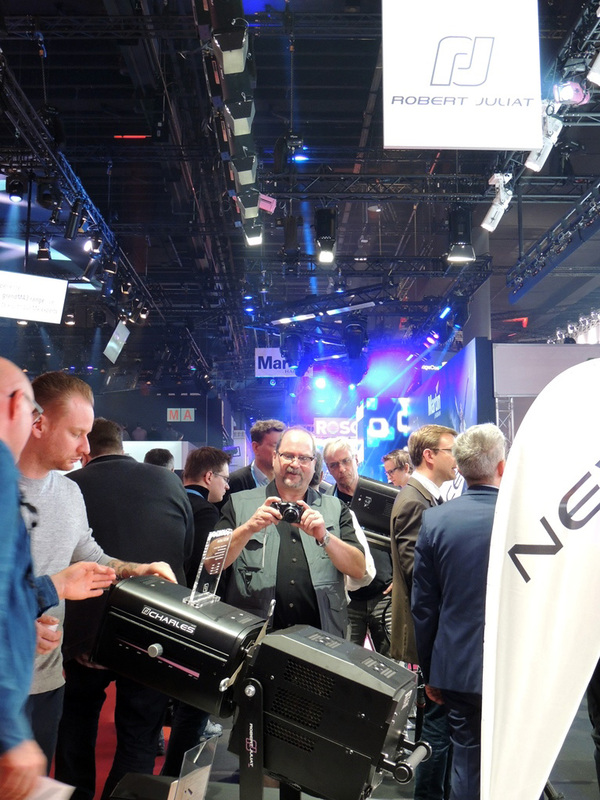 “We are extremely happy with the way the show went and the scale of interest in all of our new products,” concludes Claus Spreyer. “It was an ideal forum for meeting our international family of distributors and clients whose great response to the range was beyond our expectations”.